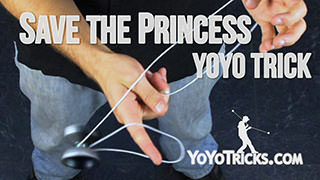 Learn how to do the yoyo trick Save the Princess. Just like that. 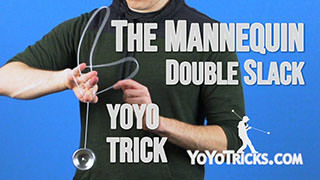 Now, to start this trick off, we are going to perform a whip into a Wrist Mount. To break that down, it is a good idea just to practice the whip by itself. 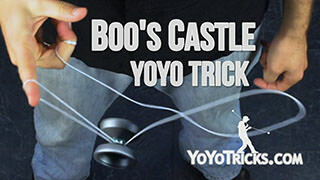 So, you can just throw the yoyo in a Breakaway and hold it. 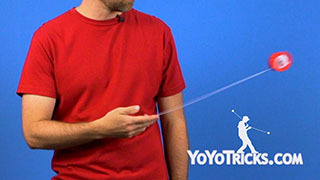 What you are going to do with your throwhand is wrap it around like this. 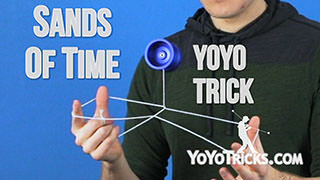 Almost like you were going to do a Magic Drop. You are going to take the string. It is actually the same motion as in like a Kamikaze, Whip into the Kamikaze Mount. We are going to take that string. 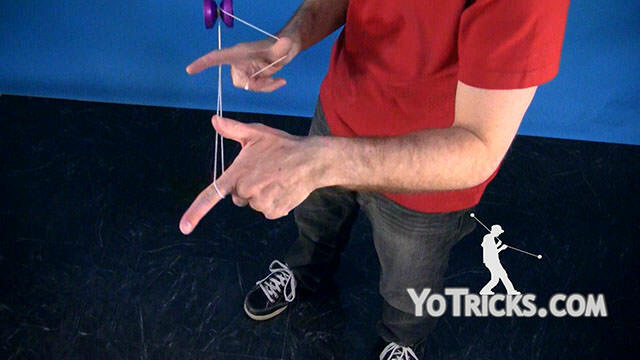 We are going to try to throw it all the way over our opposite hand. You want it around your throwhand wrist like that. 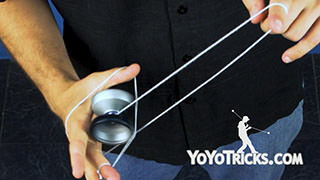 When you do that, you will see that there is a string in the middle that you can then swing the yoyo onto and land. 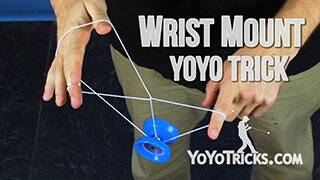 It will get you into a wrist mount. The whip itself is pretty tricky. The one tip that there really is for this is that you do not want to throw up, which people have a tendency to do. 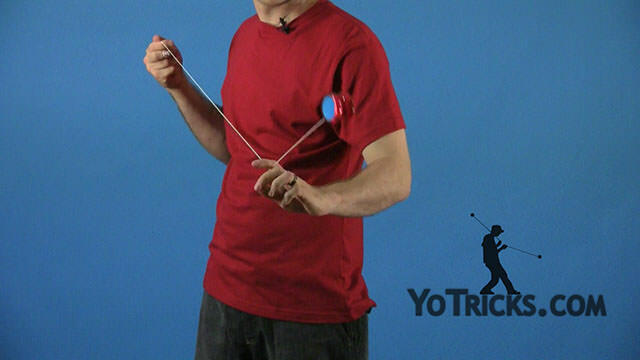 You want to throw over to that opposite wrist. 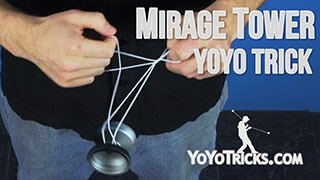 Once you are feeling comfortable with that, what you can do is practice by swinging the yoyo and your wrist at the same time and try to land it. 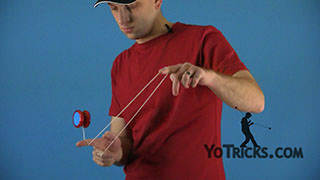 So you have to get that whip underneath, land the yoyo in, just like that. So again, you can start right from here. Swing, and get into that wrist mount. 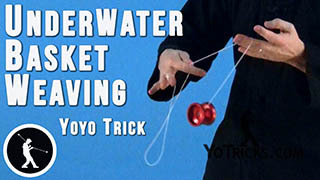 Now, once you have got that, it is a good idea to start practicing. Maybe with some pinwheels. Try to get the timing down. Just like that. 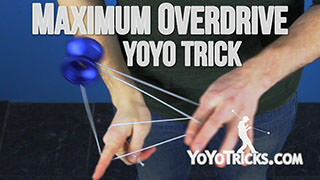 It helps if you try to pop the yoyo up a little higher. 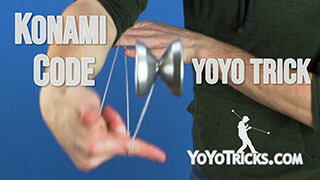 Then of course, the final stage is to be able to do it, I like to do it just from a throw with a single Pinwheel, whipping and landing right in. 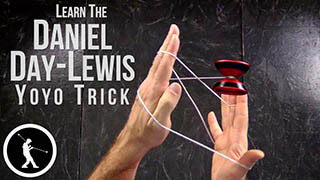 It is very important that that string whips all the way over and lands on the opposite hand as that really helps the trick to form. So from there, you are in your wrist mount. What you are going to do is stick your fingers in it. So you are going to underpass toward your throwhand. 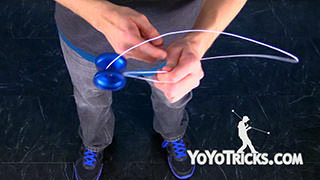 Stick your fingers into these top two strings and pop the yoyo out the hole. 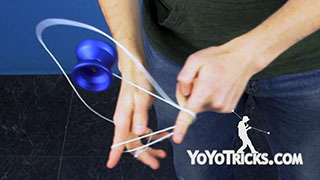 You should land with the string over your opposite hand’s index finger, and also wrapped around your throwhand, like so. 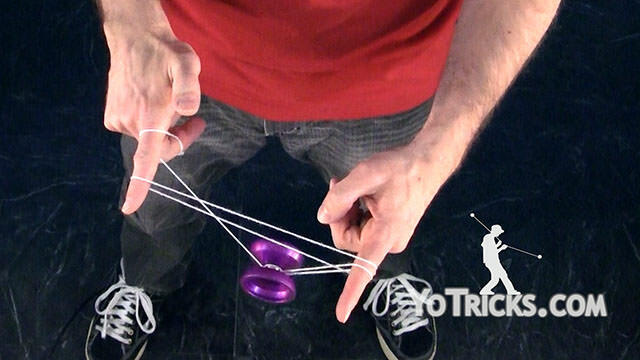 Stick your throwhand’s index finger out, and you will swing the yoyo over. Land into a trapeze and its brother. 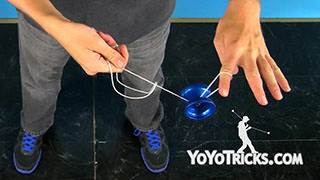 You can then pop the yoyo off, put your throwhand index finger under the string, and then from here you can swing over and land into a double or nothing. 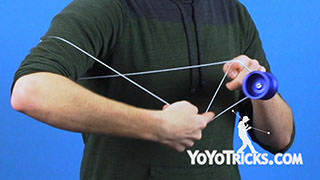 If you let your throwhand’s index finger out, drop the string, then you can roll the yoyo towards your throwhand on the outside of both your arms. Stick your throwhand arm out and roll it in between. 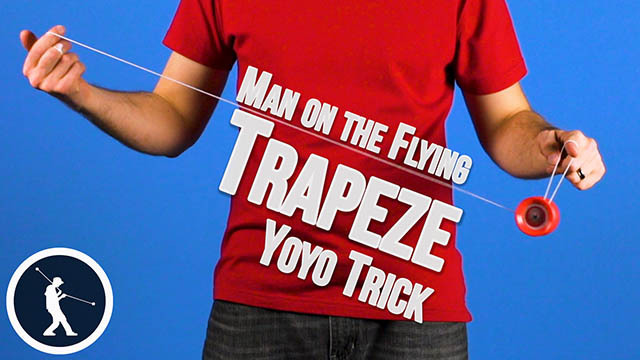 That gets you back into a Trapeze with the string wrapped around your wrist. 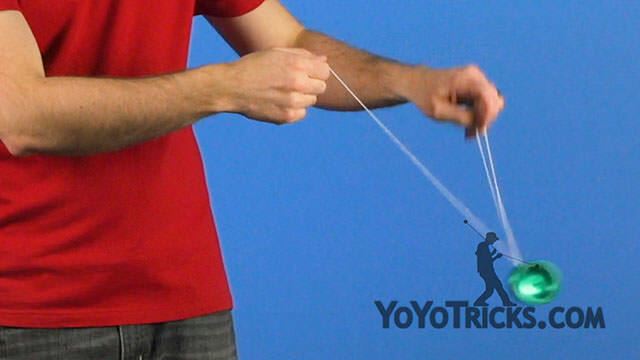 So you can insert your throwhand thumb and spread the string apart. 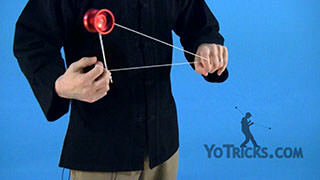 Pop the yoyo up and you will be able to perform a chopstick mount over your throwhand. 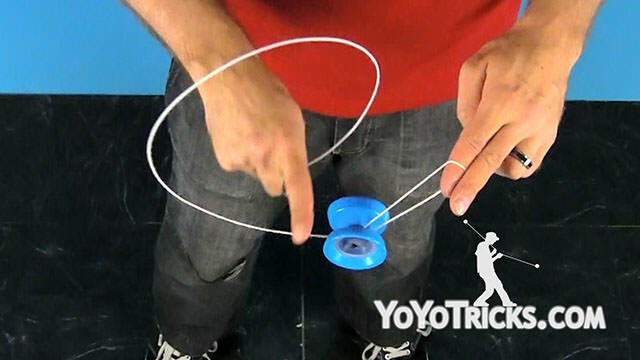 From here you can just roll the yoyo around the outside of your throwhand. That ends you right back into a trapeze again. Now from here we are going to get into a 1.5 Mount. 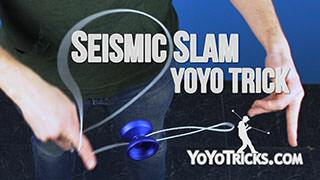 So what you are going to do is toss the yoyo over your throwhand’s index finger, just like that. You want to throw it over and a little bit up. Then you will see that that lands your index finger underneath the string. 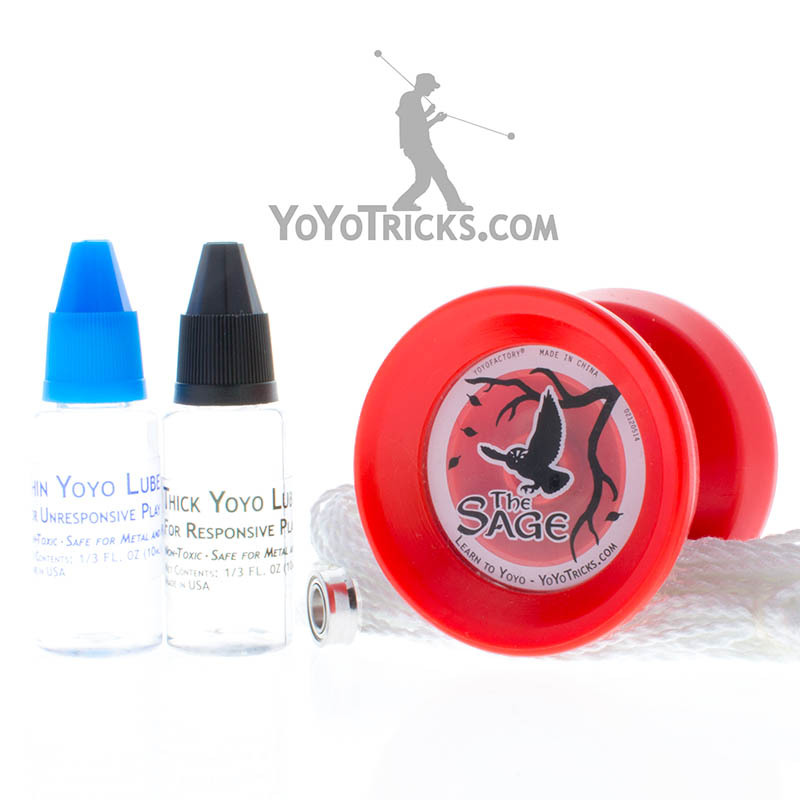 So as that happens, you are going to land it and hook the yoyo. You kinda want to do that all in one motion. 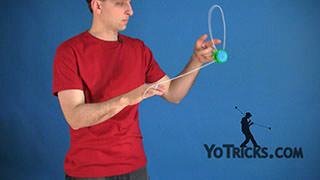 From here, you are going to cross your opposite hand over. 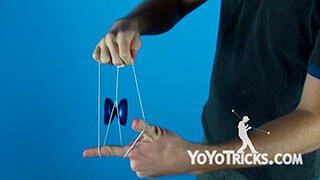 Then you are going to pop the yoyo in the air. 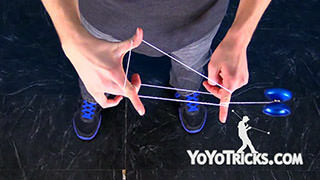 While it is in the air you are going to uncross your hands, hitting the string with your opposite hand’s index finger, landing the yoyo on the string farthest away from you. That puts you into a Double or Nothing with the string coming around your wrist. From here we are going to do a suicide into a 1.5 mount. 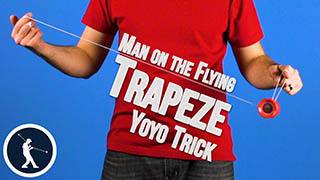 Then into a trapeze. 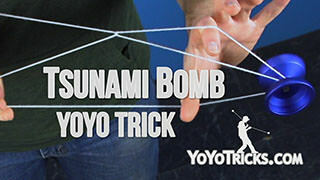 Now, the key to these suicides is that as the yoyo is swinging around, you are going to pull both index fingers out first. Then insert it. You really want to delay when you pull out. 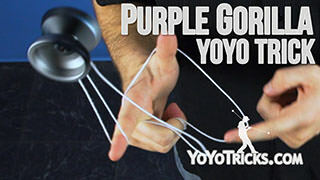 So you want to get the yoyo going up and pull them out, kind of at the last second. Then put your throwhand index finger back in. 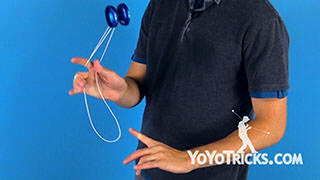 As well as if you can lob the yoyo in the air, kind of letting it hover, that helps to open up the loop. 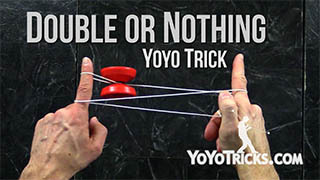 The same it true for the other one, but of course you are pulling just your throwhand out and inserting your finger. So I will show you what that looks like from here. We are going to delay, kind of when we pull the fingers out. 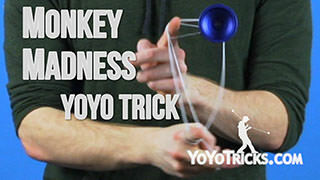 That opens up that loop and kind of lobs the yoyo. Then we do it that way, you land right back into a trapeze. From here you can bind however you want. 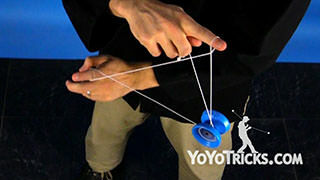 I like to bring it under, across the yoyo, around. 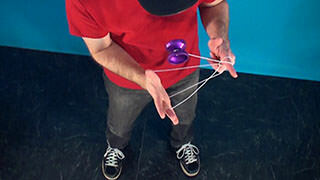 Bind with some style, whatever you want to do. Now that you have visited three different castles, you have finally Saved the Princess.